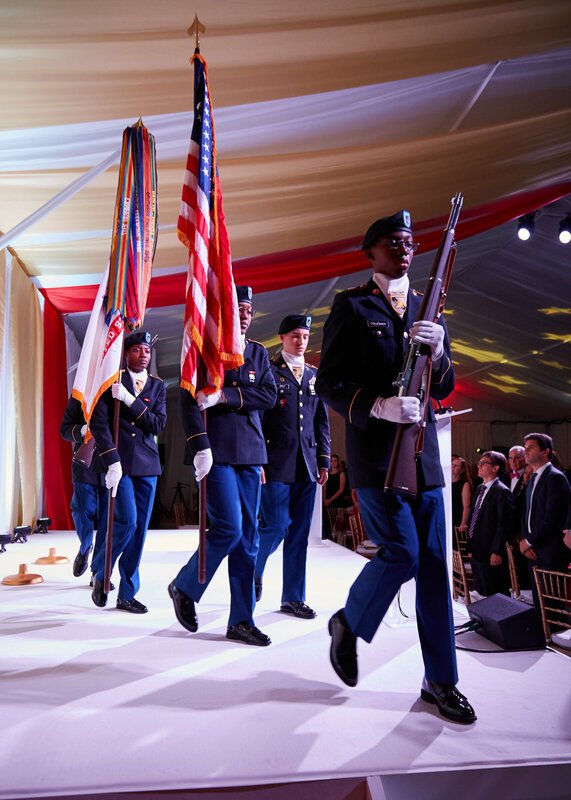 Riverside, CT - Children of Fallen Patriots Foundation (Fallen Patriots) raised nearly $2.6 million to support the college education of Gold Star children at the 10th Annual Greenwich Gala. On November 3, 2018, close to 500 people gathered at Riverside Yacht Club in Greenwich to honor Gold Star families and the brave servicemen and women who have fallen defending the United States. The annual Gala is an opportunity for Fallen Patriots families and supporters to enjoy a cocktail hour, dinner, presentation, live auction, and the unforgettable Fund-A-Scholarship, which allows supporters to see their donations at work contributing to tuition, books, computers and more. To mark this year’s 2018 Patriot Award, General Raymond A. Thomas III, Commander of the United States Special Operations Command, was honored for his impressive military career and devotion to the safety and freedom of America. He accepted this award on behalf of all the Soldiers in the Special Operations Community. 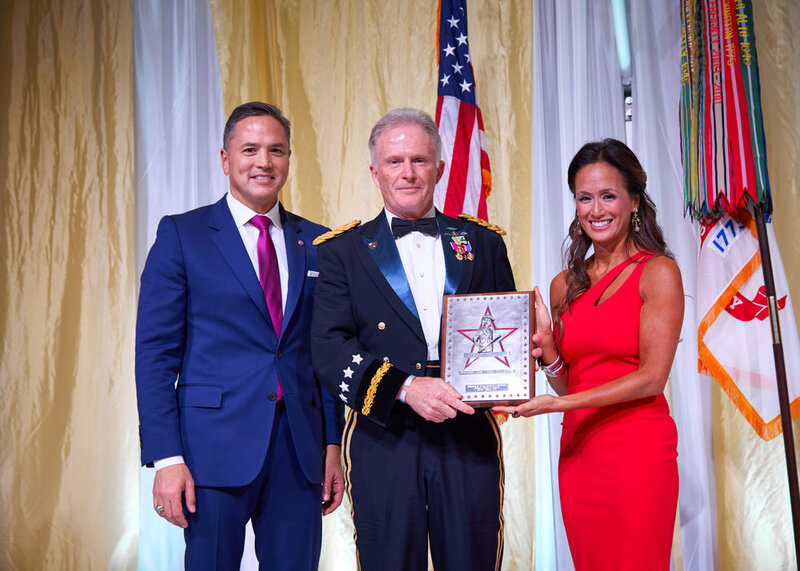 Fallen Patriots board member Ben Carter and his wife Hillary were honored with the Distinguished Service Award for their continued support of military families. Featured student speaker Izabel Nelson shared her family’s story and how the foundation has impacted her life. “I am so grateful for all that Fallen Patriots has given me, and with their help I am one step further to graduating from my dream school and favorite place on earth, Virginia Tech,” she said. Izabel is studying Human Development and expected to graduate debt-free in 2019 and has plans to pursue a career at Special Olympics. 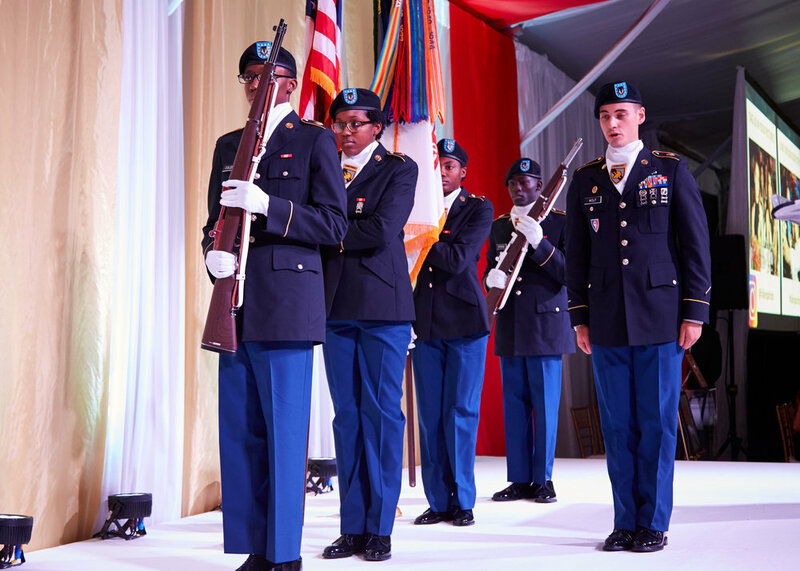 Children of Fallen Patriots Foundation will celebrate the inaugural New York City Gala benefiting Children of Fallen Patriots Foundation on May 22, 2019 and will be hosting the 11th Annual Greenwich Gala on November 2, 2019. Children of Fallen Patriots Foundation honors the sacrifices of our fallen military heroes by ensuring the success of their children through college education. Since 2002, Fallen Patriots has provided approximately $26 million in total assistance, including college scholarships and educational counseling to over 1,250 military children who have lost a parent in the line of duty. Nearly 20,000 children from across America will need future assistance. Help today by visiting www.fallenpatriots.org.